We have been to Zenshin many times before during our stays at the South Point Casino. Our dining experiences here, have always been enjoyable so we looked forward to another great meal. To kick things off we ordered the Chili Garlic Edamame and happily devoured it within minutes. 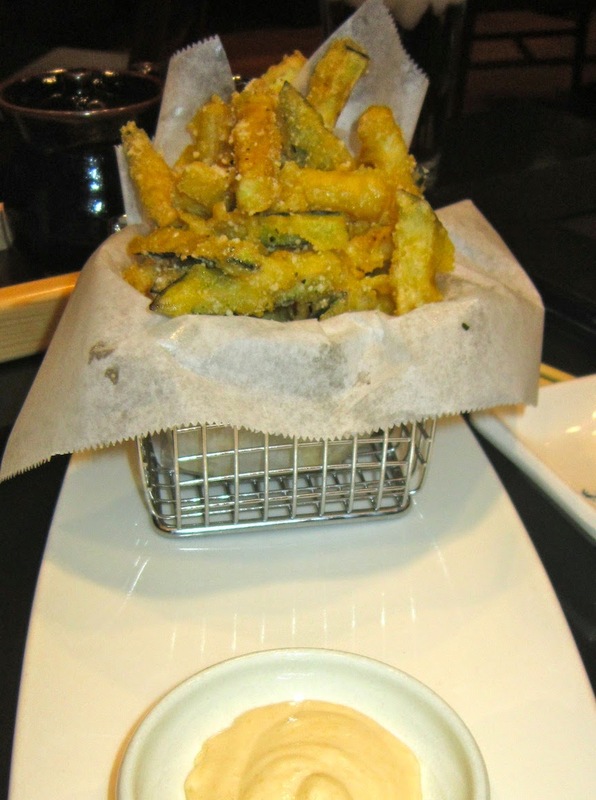 Eggplant Fries shouldn't be so delicious but believe me, they are! The tempura batter is so light and crisp, these bad boys are addicting. The mayonnaise they serve with it is fine, but really not needed. 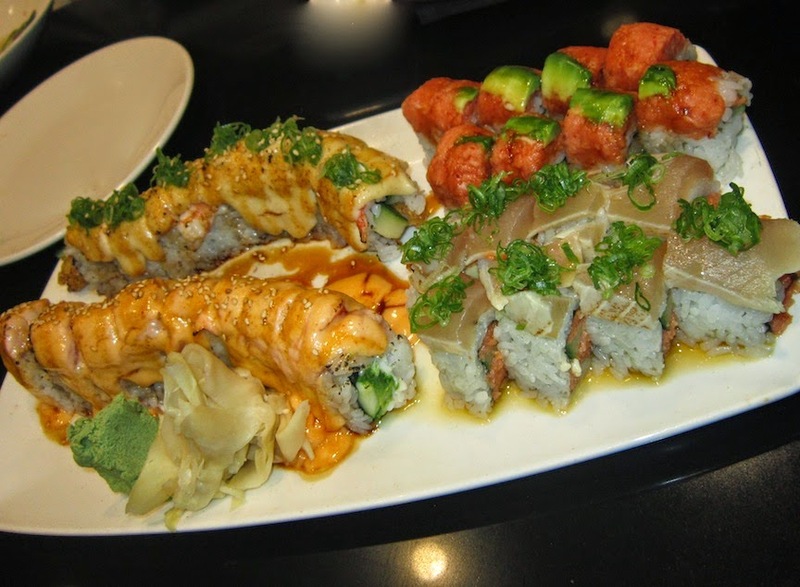 We decided to order a few rolls to share: Baked Alaska, Hawaiian, Ultimate Shrimp and Tiger. I usually a big fan of baked rolls at sushi joints because they are so decadent but I was truly disappointed in these because they taste like the fuel from their torch. Instead of truly being broiled in an oven they hand flame it and that is all you taste. The two other rolls were fine but the chunks of cucumber could have been smaller, the seafood to vegetable ratio was off. We were craving something more after our lack luster meals so we decided to go hard on the dessert menu. Bananas Foster Wonton's served with vanilla ice cream were nice to share amongst the table, eat these quickly while the shells are still crunchy. The Mini Malassadas are like little cinnamon donuts and served with custard and chocolate. I liked these the best. I knew this meal was not going to be our favorite dining experience while at the South Point but I wanted to give it an additional try. The following day I went in for a Happy Hour lunch and had an order of Hoisin Pork Belly Bao Buns. These little babies were great! I guess you just have to know what to order! Maybe stick with the appetizer's and the entree's and you will be a happy diner.